If you like to meet people, have a beer and fun in a chill atmosphere, you will surely enjoy our hostel in Tallinn's beautiful Old Town. We have a bar with a wide selection of good beers and some wine, a courtyard with a pop-up bar opened to public starting from summer and many events in mind. Our staff is mainly travelling volunteers and some people living locally. Everybody speaks good English and are a pleasure to have around. Depending on the amount of volunteers, we normally have from 4-12 people staying in the staff room and their stay varies from some weeks to mostly a month or a couple of months. 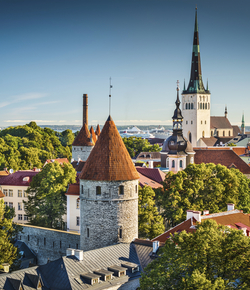 Come help us in a Social hostel and bar in Tallinn, Estonia!